Thanks for your letter of 26 August, awaiting our return. The holiday was a resounding success - the villa was superb, the view spectacular and the pool marvellous. Lefkada is a lovely island, like I suspect Corfu was 30 years ago. L would recommend it immediately. Greek food and Greek taverna service was.....well, Greek! Some lovely places, charming staff, reasonable prices (to the point of almost cheap - c.75/80 euro for a dinner for 5 adults) but the cuisine is simple - which we loved - and the service could have been better - which we were not fussed about. I suggest you warn future clients for the island that the beaches are mixed - on the east side of the island they are shingle, which is not a problem. We found some beautiful little coves when renting the boat, which we had to ourselves and which was great. On the west there are some sandy beaches. The CV Travel rep (very nice and helpful) suggested we visit one in particular, which we did. We were advised to get there early. lt was unquestionably a beautiful stretch of mainly sandy beach at the foot of an imposing cliff. 80 steps down on the beach. We arrived at 10.00am and it was very quiet. Why? Being west facing the sun had not risen high enough in the sky to hit the beach at the foot of the cliff, so it was in shade! lt was almost noon when the beach was out of shadow and then they started to arrive...in their 10s, then in their 100s and then, it seemed, in their 1,000s. We were in hysterics (of laughter) as to how many more could squeeze on when to cap it all, the ferries arrived and disgorged even more! By 12.45 we decided that enough was enough and fled for the peace and quiet of the villa and pool!! But seriously, we had a great time. For the villa a 4WD Jeep is essential and even then the first time one left the main road to go down the track, it was a nervous moment as the top of the track was almost sheer! Please keep our details on your database as I anticipate being in touch for next summer which will coincide with a big birthday for Sara. So you might need to get your thinking caps on! Thank you for all you did to make our holiday such a success; we loved it and didn't want to come home at all. lt was a beautiful, interesting area that we travelled through. Just a few comments which may interest you; we had problems with Yellowstone and Kalaloch both saying they hadn't received payment from US Airtours. When we insisted that we didn't need to pay again they made contact with them and it was all sorted! No problems with the other bookings though. The car hire from Seattle were not able to give us our full tank of petrol when we collected the car as they said they didn't have anywhere to refill their cars, which seemed a bit odd! The cabins at Y'stone were fine, perhaps a bit small and those at Apgar Village lnn, on the shore of Lake McDonald (which is in a far better position than Apgar Village Lodge) and Kalaloch far better. Kalaloch was super, wonderful position, well worth getting a cabin overlooking the ocean, though we wished we had known we had a kitchen there as we could have bought stuff en route as the shop there was pretty limited. Lake Crescent Lodge was beautiful and, again in a fab position, but we found the restaurant both there and at Kalaloch (which were both run by Aramak) very slow indeed and rather expensive. There was a great restaurant in Port Angeles (http:/lvvurrw.michaels) which was a short drive from Lake Crescent. With hindsight we would not do the Amtrak train from Whitefish to Seattle again (l realise we booked this!) The sleeper cabins were tiny and the train very noisy all night, I lay awake wondering why on earth we weren't flying! We stayed a great B&B en route to Glacier from Y'stone (http://stoneschooll huge beds and bedrooms and comfortable sitting room with a really good breakfast, and all for $100 for the three of us in two huge bedrooms. Hope these help, and if I can help with any other queries about those venues/areas please contact me. Just a note to thank you so much for planning such a great tip for us, we are now just about over the jet-lag! We had the most amazing honeymoon, we loved all the places we visited and only wished it could have lasted longer! Every hotel you booked us into was great, and everything was so well organised to the smallest details which meant it was all very easy for us when we were there. I am more than happy to write a testimonial if it would be useful| and will certainly be recommending you to all of my friends who will all be honeymooning soon! We are happy for you to add our details to your databases to keep us updated, please use my Hotmail address for this. In terms of feedback, the Maui resort was fantastic, as was the Beverly Hilton and the Best Western in Santa Barbara (all very good). The others were fine, probably wouldn't recommend the hotel in San Francisco for the actual hotel itself, although the location could not have been better so that made up for it. We also wanted to let Don know that we had a white Mustang convertible with a 3.7 litre engine (James tells me!) and GPS which he loved driving - marginally better than green we thought but not quite as good as red! We thoroughly enjoyed our honeymoon, and the highlight was without a doubt Denis Island and we can't thank you enough for recommending the island and it exceeded all expectations. Upon arrival we were upgraded to an Ocean Villa which was a complete bonus. The honeymoon was perfect, and we will never forget it and are so glad we went there for our honeymoon. Thank you again, and if we are planning another luxury holiday we will without a doubt come to you first, and recommend you to our friends and family. We hope you and Don are well. We had a fantastic holiday, really wonderful. - Hyatt Regency in Lake Tahoe is fabulous. I would recommend that anyone staying there in the summer go for a beach-side cottage as we did, rather than in the hotel itself. ln this way you can get the most out of the great beach. - Yosemite View Lodge is very very functional and on first arrival our hearts sank. I think the contrast is especially great after the indulgence of the Hyatt in Tahoe, However, the beauty of Yosemite compensates and it feels like an OK trade off, especially as we were out in the park for all of the day. You would only ever use the motel as a base for sleep. - During our time in Yosemite we visited the lodge and the Wawona in the park. The Wawona was charming and I think that if we were to go back to Yosemite we would want to stay there. - ln Monterey you know my views of the BW. Seriously, for the sake of your reputation, do not propose this place to other clients. The Carmel Valley Ranch is, on the other hand, perfect. They are just finishing a major refurb and the facilities, setting and luxury are spot on. I think that we'll happily go back to the Hyatt in Tahoe and the Carmel Valley Ranch. One final point is that we enjoyed the partial 'self-catering' freedom of the Tahoe cottage and the Carmel lodges. The ability to arrange a few meals ourselves and eat on the veranda or beach, whilst also being able to pop to a restaurant when we wanted was just perfect. This ensured we didn't get'cabin fever’ from three weeks in hotels. Finally, I wanted to thank you for your great service before and during the holiday. We really appreciated your help and rapid response during the Hertz and Monterey issues. We're now thinking about next year - perhaps US again, or Canada, maybe Asia. Any ideas? This was our first time of booking a holiday through your company, and may I say that it will not be the last, from the first time we contacted you, you have been thoroughly efficient and professional. You listened to our requirements made a few suggestions and recommendations (better suited for us ) and we ended up with a holiday not to be forgotten. We booked a 4 day /3 night stay at Governors Camp in the Masai Mara, it was everything you could wish for and more, from the luxury tented accommodation, to the three safaris a day with our very friendly and knowledgeable guide Oliver, who took us everywhere, so that we would be able to see such a large and varied selection of animals(FIRST CLASS)I must say that all the staff we met at the camp were very friendly and informative, nothing was too much trouble and everybody always had a smile on their face. We were sorry to leave the Safari Camp. For the second week of our holiday you had arranged a stay at the Constance Belle Mare Plage Hotel in Mauritius, this was just as the brochures stated 5 star luxury accommodation were we could relax or explore to our hearts content, the beaches and water sports were superb, the selection of food was of the highest standard along with the staff who were always friendly and courteous at all times The Golf courses were of an excellent standard and I was very pleased to find they were also included in the cost of our holiday. We had a fantastic time and we are so grateful for your service and recommendations. Thank you very much for your letter, which we received when we got back from our honeymoon earlier this week. We just wanted to say thank you very much for organising such a fab honeymoon for us. We had an amazing time and were really impressed with it all. We would wholeheartedly recommend Time and Place to anyone as you took all the stress out of arranging the trip for us and were also very reassuring when all the volcano disruption arose (which must have been such a stressful time for you) The hotels you booked for us were all great and the travel etc. all went very smoothly. We even got upgrades on the way out and the way back!! - We really liked this hotel- The staff were very friendly and the location was great very close to Fisherman’s Wharf but also close to transport into town centre- We didn't use the transport but found that it wasn't that far to walk to the Centre or the other areas of interest- The rooms were spacious, clean and the beds were very comfy. We would definitely recommend the Alcatraz trip to anyone going to San Francisco. - The hotel was great and typical Las Vegas (ie over the top and good fun!!) It’s a massive hotel but well-appointed as we didn't ever have to wait if we were looking to go in the restaurant or bar and there were always seats available by the pool- The rooms were large and clean and pretty much included everything you needed. - This hotel was also really lovely. It did feel like a really relaxing place and gave a nice break from hectic LA. The pool area was nice and the rooms were really nice and absolutely spotless. The free shuttle bus to Universal and the Metro was also really useful. All in all as you can see we had an amazing time and were impressed with all the hotels and with how friendly all the staff were. So thank you very much for organising it all. We had a fantastic holiday, really did not want to come home. The itinerary worked out well, maybe if we were to alter anything, a twin centre on Big Island would have cut down some of the driving we did. The hotels all lived up to our expectations and we would have no hesitation in recommending yourselves to friends and fellow travellers. So sorry that I didn't get in touch before we went away our work commitments were manic. Many thanks for the prompt arrival of our tickets and thanks for the travel wallet it was well travelled and well used. As you can imagine our holiday was fantastic. The Marriot and the Rennaisance were ideal location wise. You were spot on with the Rennaisance for us it was perfect, we just hopped on and off the tour busses so managed to see a lot in the short time we were there. The staff at the hotel were so helpful and friendly. Still say you could have been our perfect tour guide,maybe in the future. Chris and I would like to say a big thank you to you both for your expertise and service, we couldn't have done it without you. We can only wish now that we will book some faraway holidays in the not too distant future and our paths can cross again. We are back from our fantastic trip to the USA. Many thanks to Jo for all her patience and knowledge in helping us make the decision we did. The RV that we rented was great; the rental office was efficient and very friendly. We both so much enjoyed the freedom of being able to deviate from the itinerary as and when we pleased. The RV was well equipped although only one sheet and one pillow case for three weeks was pushing it a little. Driving in the States was a pleasure and not a toll road in sight. We spent quite a few nights in KOA campsites which were well run and oh pleasure of pleasure all had hot tubs. The private campsites we stayed in were also great, well run and all very clean. There are loads of campsites all over the place so never at a loss of anywhere to stay. Our first night was at the Andaz Hotel in West Hollywood. We arrived at LA late and only got to the hotel at 7.00pm very tired so never had the opportunity to enjoy Hollywood. In hindsight we would most probably have been better off staying at one of the airport hotels were Cruise America offer a pick up service. We both had a great trip, well organised and it was really nice to be able to put all the planning into someone else's very capable hands. I would h happy to have my details added to your database. Once again thanks br the fabulous service recived from your team I would recommend your company to anyone. Now that we are well and truly back into the swing of normal life at home, Geoff and I wanted to say a huge 'thank you' for the arrangements you made for our Hawaiian holiday. It really was memorable, and for all the right reasons! Both hotels were spectacular, though the King Kamehameha on the Big Island just had the edge. The rooms there were beautifully furnished and appointed and it was an absolute joy to arrive - particularly as our flight out of San Francisco was delayed by three and a half hours so we didn't arrive until half past midnight! After the long flight from the UK and two time zones, you can imagine how thrilled we were to find the most perfect hotel room waiting for us. Daylight brought further excitement on seeing the view from our balcony and we thoroughly enjoyed every moment of our stay there. We can both heartily recommend the hotel and we're sure that when the refurbishments are complete it will be a truly World-class hotel. Maui was also fabulous, with a large, comfortable hotel room overlooking the most perfect beach and with great views of both the ocean and inland. As someone whose nightly ritual involves a long hot bath, the only downside sf this hotel for me was that all the rooms just have a shower - but otherwise it was a good hotel in a great location. Overall, we had an absolutely wonderful time, and I certainly feel I celebrated my fiftieth birthday in style! Thank you again to everyone at Time and Place who put our trip together, and we would not hesitate to use you again for our next big adventure. Thanks for your (Don's) letter. We had an "awesome" time in Hawaii, and are most grateful for your advice in choosing not only excellent hotels, but also the correct side of the islands for hot & dry weather! The location of the King Kamehameha is ideal (despite the rather ugly ground floor bits jutting out towards the beach). Service was rather impersonal and the surroundings dated compared to the other 2 hotels, but, as you may know, it is being renovated bit by bit and the reception desk was being moved around. Their Luai was great fun, our room was very pleasant but around the back near the service bits, with rather a grotty outlook, but at least were honoured by a visit of a flock of parrots, and the antics of a pair of mongooses. Car hire – there was a big golf tournament on so no compacts were available. Therefore we allowed ourselves to be seduced by a timeshare presentation** (Shell Vacations) in return for substantial discounts (e.g., round island tip for $30 each) on various things. (**Lorraine, a market researcher, was intrigued by their sales techniques!). Currently, there is no lava flowing, and certain parts of the volcano park are closed because of pollution fears (they are paranoid over HS@W with all those grossly obese tourists! ), but never the less we saw quite a lot. Very interesting to compare the geology with Iceland. The Kona Brewery nearby is definitely worth a visit - we were highly impressed by the devotion of a few enthusiasts to stem the flow of Bud & Michelob. With beers between 5 & 8.4% ABV, it was nice to be able to walk back to the hotel! We were most pleasantly surprised by Honolulu, and the Outrigger was the best of our 3 hotels. (Well, you get what you pay for.) Their Diy BBQ was so good we didn't bother to go anywhere else. Overall, the general level of service was excellent and the staff genuinely friendly (compared to some other parts of the US where it can be bit forced) and most helpful. All 3 hotels had terrific food (although Lorraine had a bit of a problem avoiding cheese/milk products as they seem to put it in everything, and serving staff don't always realise this) ' helpings on the vastly over-generous level, of course! We were continually mistaken for Aussies – we saw hardly any other Brits. Of the 3 islands, we enjoyed Maui best, partly because we had a car. We do wish we had been a bit bolder and taken up the offer of canoeing/surfing/paddle-board lessons, but maybe next time! there was lots of information available on activities, but at times it was difficult to find the locations (as we did not know the geography of the islands) so the one thing we could really have used was as a good quality OS-style map to help us get around. AIso (when we did not have access to a car) good local bus maps would have come in useful - but we don't know if these even exist. Please do add us to your database. We are recommending your services to others. Thank you for letter dated 29th January welcoming us back home. Sorry I am late replying. We had a fantastic time. Sally had never experienced anything like it. I have been very impressed with your service and I would recommend you to my family and friends. The Outrigger Hotel on The Big Island was fantastic. Sally said it was the type of hotel that she would drive past and say "l wished we stayed there". The service was fantastic and had not been spoiled by the Americans. More of that later. We went on a trip to the Volcano. $240 dollars. The driver of our coach was like Eddie Murphy on speed. The was OK for a while but after 6 hours I wanted to kill my self. lt was advertised as including "fine cuisine and champagne". The food was very plain with a bit of tin pineapple thrown in. No champagne. when I went back to complain I was fobbed off. The best bit was when Eddie Murphy wanted to play a video of him and his family in Hawaii. The DVD didn't work. Thank God. The whale watching was fantastic and well worth the money. The next Island, Maui, was something else. The hotel was not as good as the Outrigger but nice. However the hotel was obsessed with tips. 23% was what they expected and on a couple of times I didn't pay enough I was challenged. The tipping made the second Island slightly unpleasant. However a friend of mine had recommended a place called Pa'ia. It's an old hippy village great surfing. There is a restaurant there called Mama's Sea House, Frank Sinatra and Clint Eastwood have eaten there. It's right on the sea. It's fantastic. The hotel in San Francisco was very nice. Again tipping was out of control. At the hotel they took the tip direct from the credit card. The Brits have a bad reputation for tipping and it shows in way the yanks treat us. Oh, they also take a charity tip from you which is "added to your bill for your convenience". Having said all that Sally and I never laughed so much, Eddie Murphy was mad and there was a cocktail Waitress in the second hotel who was mad and chased me out of the bar for not tipping enough. Thank you for your letter which we received on our return from Vietnam yesterday. We would like to thank you for organising yet another amazing holiday. We had an absolute fabulous time and fell in love with the country and feel as though we learnt so much about it's history and culture during our visit. The whole holiday was flawless and very well organised with no hiccups along the way. In response to your request for feedback we are more than happy to provide this and have done so below. Maison D'Hanoi, Hanoi - this hotel was very modern and extremely clean. The rooms were small and both rooms we had did not have any windows but this was not a problem and helped to remove the noise from the street. The rooms were well equipped and very comfortable and well decorated, It was situated in the old quarter and was very close to the centre of Hanoi and a lot of shops and restaurants were within walking distance. The excursions around the city were very interesting and provided a lot of insight into the culture and history. It is worth advising female customers to be aware of what they wear as they are quite conservative in the North of Vietnam and when visiting Ho Chi Minh's mausoleum and the pagodas it is worth taking something to cover the shoulders to show respect. This is the case for all pagodas although the guides did not say it was necessary it is important to remember that these are religious areas. The cruise around Halong Bay was fabulous and well worth the trip. The food on the ship was lovely and the service was excellent. Again the room was small but very well-equipped and the reception had all the other items a passenger may require including hairdryer and plug adaptor. Hoi An Riverside Hotel, Hoi An - Beautiful hotel in a beautiful location with a very spacious room with a river view which was wonderful at sunset overlooking the paddy fields. The hotel was a 20 minute walk from the beach which was nice on the free day. However it was 3km from the town centre and although they had a free bus to and from the town these were very irregular and the times were not suitable for us therefore we used a taxi which only cost $2 each way which was very reasonable but the price should be agreed before starting the journey. We had some clothes made to measure at the tailors which was very reasonable and the clothes fit perfectly but it is worth advising people that if they are going to get some made they should visit the tailors asap as they like you to visit for a fitting but most clothes are made within 24 hours. Saigon Morin, Hue - This hotel was fantastic and the room was huge, beautifully decorated and well equipped. The courtyard where breakfast was served was beautiful and they had a live band at night. 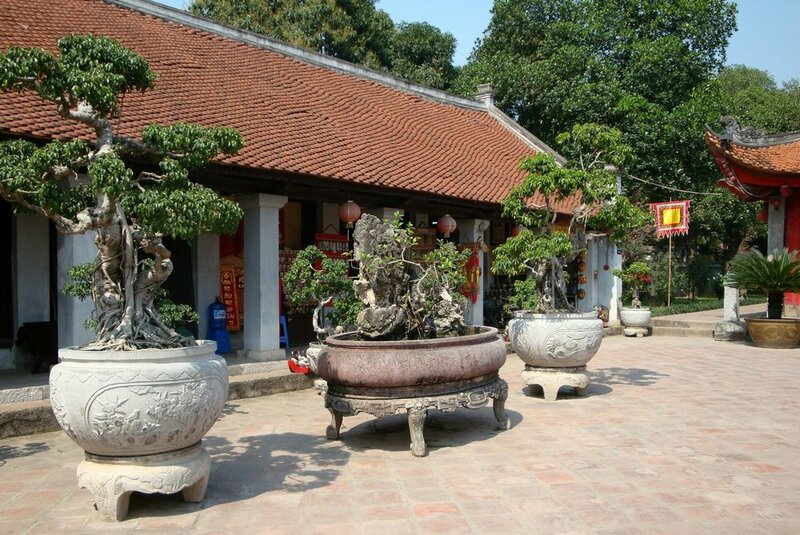 The hotel is near the new part of Hue but at night there is not an awful lot to do but the hotel makes up for this. The Forbidden City was beautiful as was the cruise along the Perfume River. Duxton, Saigon - a modern hotel in the centre of town that serves both business people and tourists. Room clean and spacious and extremely friendly and helpful staff. We got a free afternoon tea for two which was a nice welcome after the early start. The Cu Chi tunnels was fascinating but it is important to remind people that if they are claustrophobic or suffer with a heart condition or panic attacks the guides will not allow you into the tunnels. Victoria Can Tho, Mekong Delta - Beautiful hotel in a lovely setting on the river but because of its location people should take mosquito repellent and wear long sleeved tops and trousers at night. The cruise around the Mekong Delta was lovely and the fresh fruit and coconut juice was a lovely extra. The food at lunch was wonderful in a very relaxed setting. Tipping - it is worth people taking a lot of small denomination dollars for tipping as it is common practice to tip the bellboys, boat drivers and after meals. This tipping can also be done in Vietnamese Dong. We also felt obliged to tip both the drivers and the guides at the end of each section which we did in dollars. Money - US dollars are widely accepted but if paying in restaurants that quote the prices in Dong the exchange rate is not always brilliant which makes it worth while to change some of the dollars into Dong. The hotels and money exchange places all have roughly the same exchange rate as they keep it the same as the banks rate. We did not take travellers cheques as it was recommended not to as they can be difficult to change. Safety - there are safety deposit boxes in every room which should be used. We were not concerned about walking around at day or night but it is important to be aware that there are pick pockets in the big cities and relevant precautions should be taken although we did not see any crime. Crossing the road - this is the biggest culture shock but adds to the countries charm. The guides will talk guests through it but basically you just cross the road and keep moving and don't step back as the Vietnamese do not observe zebra crossings or traffic lights and there are mopeds everywhere. It is good fun though! All of the guides were very helpful and approachable and keen to share the countries history and culture. We had air conditioned private vehicles throughout and private tours which was fantastic. Overall we had an amazing time and have some fantastic photos and memories so thank you again for all your help with organising the holiday. Hope you're well. Thanks for your letter; I thought you’d be keen to hear how we found it all! Thanks also for the wedding card which arrived whilst we were away. The wedding was great, we had a fantastic time, and just to put you at ease before I give you some more detailed feedback, so was the honeymoon - We had. an amazing time. Before I go into the resorts I think it’s worth noting how well organised everything was. We were met and privately transferred at every stage and didn’t have to fend off unwanted porters or make perilous taxi journeys through Nairobi! The couple who shared our jeep were travelling with Kuoni had to walk through airport terminals by themselves, quite late at night after they landed" I wouldn’t have been keen on that. Also the information sheets yourselves/ Rainbow provided were very helpful, I think we were the first by some distance to the BA Flight Transfer check-in desk on the way back whilst everyone else queued at the Air Kenya one. Little touches and details like that certainly make you feel like you're travelling on a bespoke holiday. The Serena is a lovely hotel stop over at, not sure if it was requested but seemed to be the only place that gave us any freebies/upgrades for being on Honeymoon. The room on the first night was great and on both nights they gave us a bottle of sparkling wine in the room. Staying in Serena definitely made things easier in terms of logistics as we were able to leave our beach suitcase with them whilst we went off on Safari and collect it on the back. Thanks again to yourself and Don for going the extra mile to sort that out for us. Governors Camp was a great choice/recommendation. Its location is, we felt, unbeatable. Everything within minutes of the camp and even closer at times. We were woken by an elephant eating just metres from our tent at 2am one night. Shortly after that a lion roared very close by. Hippos were regular visitors to the camp as was a buffalo, elephants, warthogs, baboons and even one Giraffe. From what I could gather driving around most of the other camps were situated a good hour from where mast of the action seemed to be, something that means the position of Governors can’t be matched. We really enjoyed the camp itself too; the tents were cosy and had everything you need. I read some reviews about them being basic and not too well maintained but I thought they were fine. Service at the camp was great, from the chap who wakes you with a tea/ coffee in the morning to all the waiters bar staff, guides etc. Food was good, possibly the best veggie food Jo's had on a holiday which is remarkable given where they are. I’d recommend this place highly to anyone thinking of going. We did the hot air balloon ride which whilst pricey at U$D435pp was a great experience. No doubt you get sent loads of this sort of stuff but I’ve attached a couple of pictures, feel free to share them with anyone who needs convincing about the camp/safari. Which reminds me we saw loads in terms of the safari, the only thing missing was the Rhino, never mind. We saw lions killing wildebeest during a river crossing, Leopard, cheetah, the list goes on. Dream of Zanzibar then, the gamble. Overall I’d say it paid off. The location of the hotel is on the east coast, amongst the main strip of the large hotels. You could see the Kempinski etc. from the beach. The room was very nicely fitted out and we had a great view. Garden rooms weren’t up to much in that respect. The grounds and. all the buildings as you’d expect were immaculate given how new they were, but they’re clearly intent on keeping it that way as there's a lot of staff about keeping the place clean. The pool area was very nice, right on the beach which allows flexibility when you’re deciding where to lounge for the day. The beach area was lovely and the beach boys kept a safe distance by a couple of security guards. The hotel was pretty quiet which suited us but when full I can imagine it feeling quite busy. The food was an interesting one; at times it was very good at others I had to complain. The first night we ate in the main restaurant everything I picked from the buffet was cold or poorly cooked. I raised this and was given a freshly cooked steak. I also fed back to the catering manager the next morning and I do believe from then on they consciously tried to improve the standards. For me responding to something like this is almost more important than the issue itself and I’d say they did this so very well. It was just unfortunate that the morning after I complained Jo bit into a rotten tomato at breakfast. The ‘theme’ restaurants definitely make the difference when it comes to the food, the African being the best. The main restaurant is very Italian influenced, which is fine – I like Italian food. But it was good to get some variety. Both the Chinese and Italian were decent. On the drinks front, plenty was included; in fact I don't think we bought anything extra. Out of the two local beers Kilamanjaro was the best for my money, and two (each) decent red and white wines which they topped up freely over dinner like a proper restaurant. A nice touch you don’t often get at some AI hotels, led to one or two sore heads though! Didn't get too stuck into the cocktails which were quite limited unless you liked hard spirits! Overall a good hotel and everything we needed it to be. Didn't see a great deal of Zanzibar; we're not normally ones for doing tours on holiday but after the wedding, travelling and a week of safari we were never in any danger of getting too far from our loungers. On reflection I don't think we'd head back to Zanzibar, but there are few places we'd probably go back to anyway. It's for me lacking the X factor of the Maldives when it comes to beach resort destinations. I’m going to have to get over that though as I think there are a few other places we need to go first before we go back there. Thanks again for all your efforts. Not sure what our plans for future holidays are just yet, Madagascar could be a consideration" as could Malaysia. We'll be in touch. Back now from our trip to Chicago etc, I thought you might like a little feedback which could help future clients. Chicago is a great place to visit, particularly in the summer. In addition to staying with our son, we went with him and his family to Saugatuck on the other side of Lake Michigan to a "seaside " resort with fantastic beaches etc" It was very nice. New England was great but we had a bad start! We arrived in Boston in a terrific rainstorm o and were held up by Ted Kennedy's funeral etc. Having found our car [you have to take a bus out from the terminal to the depots] we drove in torrential rain to Sturbridge. As you night imagine, we were looking forward to a warm welcome and were very disappointed by our reception! We were booked in to o pretty ropey motel at the bock of the Public House and the staff generally could not hove less helpful! Not to be recommended. Anyway, the dinner was OK but we were happy to move on! The Red Lion at Stockbridge was quite different. We loved it and the staff were so friendly and helpful as indeed all were on the r:est of our trip. The Captains House at Chatham was super and we much preferred it to the Chatham Wayside Inn even if if is not so central. The Clarendon at Boston was also a good choice if you prefer a boutique hotel to a Grand one. It was not quite so central as the main hotels but it was in the centre of the restaurant area! We were advised to avoid a taxi into town from the airport because of the cost [tolls etc] so we took the silver line to South Central [cost $2] and then picked up a cab. It is however cheaper to get a cab going the other other way for some reason. One final observation concerning money. I decided to buy a prepaid debit card [Fairfax] which has the advantage of being able to buy your currency in advance when the rate suits, instead of having to rely on the rate of each separate transaction where I am sure the banks are making a nice turn. This worked very well and was accepted everywhere but there was one hiccup. I allowed one hotel to swipe it on arrival to meet any extras. Without my signing anything, they put a temporary transaction through to cover the cost of our stay which had already been prepaid! This blocked the amount on the card and it took several e-mails and faxes to unblock it! It would have been better to let them have a credit card on arrival, and then paid any extras with the debit card on leaving. Anyway, you always learn something and the trip was a great success. Thank you for your help in putting it together. Just to let you know we had a really wonderful holiday. All hotels/resorts fab and weather good. Did rain every afternoon in Malaysia but by that time we were pleased to see it for a couple of hours. Overall we loved it" lt is clear you would not want to go between Nov and Feb as we were told it is very wet and wild between those months and the beach (which is beautiful) is closed then. Our son was disappointed there was no sailing or other water sports (only windsurfers), but the snorkelling and diving more than made up for it. I think the reason is it is too windy most of the time. We are very happy with quiet as we all love to read, but for other families with teenagers it might be too quiet in the evening. Excellent for a romantic getaway. Thanks for all your help. We would definitely recommend the destination and the diving was marvellous. Thank you Time and place for planning our holiday in California. We had a fantastic time; all of the hotels were excellent choices in great locations. Our transfers and car hire arrangements were trouble free and the directions you provided were also a big help. I would strongly recommend sat nav' though', especially in LA. Riding the trams in San Francisco was fun; we also enjoyed the boat trip from pier 49. The best location for us had to be Yosemite National Park. In hind sight 3 days just wasn't enough, it's truly an awesome place. The Yosemite View Lodge was well placed just outside the busy park with raccoons raiding the hotel bins every evening didn't see any bears though'. The Pacific Coast Highway was also a memorable drive. Our third stop was the Monterrey Beach Hotel, and it was on the beach', we saw dolphins cruising up and down the surf closely followed by hungry pelicans. Fourth stop, Best Western San Simeon, Cambria Main Street is straight out of the 50's. On our way down to Santa Barbara for our fifth stop you can see elephant seals lazing on the beach, they are huge. Santa Barbara was nice with plenty of restaurants and shopping. Go out for dinner early though' as every where seems to closed by 9.00pm ?????? A Chinese restaurant stayed open just for the 4 of us which was nice, and lucky as we didn't fancy another Denny's meal. We then battled through LA traffic to The Disney Grand Hotel which definitely lived up to all expectations. Truly magnificent and positioned virtually inside the fun park, You also gain entry t hour before the public on certain days meaning no queues, heaven. Don't forget to book the Disney character breakfast, well worth the money. Our last hotel was The Sheraton Delfina in Santa Monica. It had quite exhilarating balconies which hung out over the highway; we were on the NINTH floor, quite scary in fact. LA has a paved cycle path on the beach which runs virtually from Malibu all the way down past Redondo Beach, over 30 miles each way. The narrated open top busses seemed to be the best way to see the most in a short stay. You must eat at the Ye Old Kings Head, on the corner of 2oo and Santa Monica Boulevard, an English pub with hundreds of pictures of the owners with every star you can think of from Michael Cain to Bob Hope to Liam Gallagher. Alas the only celebrities we saw. Our biggest surprise was how cold the coastline is everywhere north of LA; the Pacific Ocean is fffffireezzing, pack jumpers. Biggest disappointment was how quickly the days passed. Thanks again time and place. Arrived back home yesterday evening after a long train journey with heavy cases full of goodies from New York!! From the start this has been the most perfect holiday Lyn and I have ever been on. The upgrade for the flight meant we got not only more legroom but better service as well as there were only 12 of us in that section, lovely. After a little bit of a hairy start when the sat-nav refused to work and we got slightly lost in Miami, we eventually arrived in Naples, a lovely old colonial town. The hotel itself was exactly what you would want to stay in for this area. Quiet but close enough to walk to the main street with a really lovely pool area that we had all to ourselves every time we went down. Very clean big room and the staff were welcoming and attentive. Coffee machine in the room but were very happy to put a kettle and tea bags in for the 'English'. A very American feel to the place and felt more personal than some of the chains. Did the obligatory alligator air boat ride 'because we felt we had to' and actually found this to be the highlight of our trip to Naples! !l Just shows you doesn't it? Sanibel lsland was beyond perfect. Everything we wanted and much more. We rose before dawn to watch the sun rise and were ecstatic when dolphins joined us along the waters edge, magical. After our lively evenings in the Irish bar in Naples it seemed very quiet here but we were happy to forsake this for the beauty of the island. Found a restaurant proclaiming the worlds best breakfast and believe me when I say they were very close to being just that. A short drive from the hotel we found an excellent Jazz Club called Ellington's and both the food and entertainment were exceptional. A must to visit is the nature refuge where we saw Ospreys diving for their supper and a sweet little raccoon basting on the berries in a tree right next to our car. A beautiful un-spoilt island with good clean accommodation that was spacious and comfortable. So onto Long Boat Key. They wished us happy anniversary here and then said they had upgraded us with their compliments. Some upgrade it was too. More like an apartment than a hotel room. The hotel and rooms here were a little tired looking but again very clean and comfortable and the service was excellent. Lovely being on the beach again but a little isolated. However saying that the hotel put the minibus at our disposal and for a small tip to the lovely young man driving us around we found ourselves being taken wherever we wanted to go in the evenings. Had a great evening boat trip courtesy of Captain Jack (Marina Jacks) and his team around Sarasota and enjoyed good food and wine for a reasonable price with the sun setting in the background as we returned to shore. Some Amazing Houses on show here....lots of money around I think!!! Would have preferred to have been perhaps further up somewhere near St.Armunds as this seemed to offer an excellent location., however on our budget was probably out of our reach!! So the flight to New York was slick and on time and I was nearly sick with excitement as we flew over the city. Lyn was not that keen on doing New York but that soon changed when we arrived!! Fantastic location for the hotel, couldn't fault it. Seemed small after the other fantastic hotels but in the city this was to be expected. We LOVED it!!! The lights the noise and the lovely feeling the whole place had. Lyn spent up in Macy's and then again the next day in Bloomingdales, the shopping is just fantastic and the staff are eager to please and serve without being over the top. Nights were spent in good restaurants followed by loud lrish bars where the entertainment was provided by live musie and just watching the people themselves. The whole vibrancy of the place was just so right after the previous week of nature and romance. Saw 9To5 which was just so slick and brilliantly performed by the cast we were blown away. Lunch at the Marriott New York with the revolving restaurant was a great way to start with great views over the whole city... not cheap but highly recommended. Go for lunch rather than at night and you will not pay the surcharge. However if you go to see gTo5 your ticket will also allow you to get in without the surcharge. Also USS intrepid was a fantastic way to spend an afternoon with the submarine now open to the public. Concorde is now also there so if you like planes you will love this. Can't think of anything we did not like New York was everything I had hoped and more. So then we went onto QM2. WOW Lyn could hardly contain herself as we rounded the corner and saw her in the dock and I was not prepared for the sheer size of her. We have never cruised before so did not know what to expect but this was beyond anything we could have imagined. She is like a 6* floating hotel. I am so glad we upgraded the room as having the balcony was just incredible. At dinner that evening we met for the first time our 4 companions who would share our table. How lucky were we they were so lovely. A couple from New Jersey and sisters in law from Canada. We all swapped addresses and intend to keep in touch so that says it all really. We actually looked forward to our evenings shared with this little group of people as they were entertaining and good company. We couldn't fault anything apart from the tipping system where they like to tell you what they want you to pay rather that you pay what you would like to pay" You can't help but think that you are subsidising the waiters and cleaning staff wages. All drinks have 157o added as soon as you sign for them but to be fair drinks were not expensive so this was no real issue. lnterestingly it was not only us but both the Americans and the Canadians felt a bit put out by this. ln the end we as a table gave our tips as cash to the lovely waiters who had look after us so fantastically during the whole cruise and even serenaded us for our wedding anniversary! We did the same for the lovely lady who looked after our stateroom who really couldn't do enough for us. So just to finish we would both like to thank you both for the organisation, advice, and sticking to the budget. We would not fail to recommended you anyone at any opportunity$. Lyn even told the lady in Clark's shoe shop in Melton Mowbray!!! Thanks for making this such a memorable occasion and I look forward to speaking to you about our next adventure.